Wall Street used to be a wall protecting the Dutch city from Lenape attacks? New York Times staff defended its headquarters with gatling guns during the draft riots? A Bowery tattoo artist adapted an obscure Edison invention into the first electric tattoo gun? This city, with its centuries of struggle and ambition, squatting and racketeering, backstabbing and palmgreasing, is knee-deep in history, even as rapacious development tries to erase it. Everywhere we turn, layers of this turbulent past hide in plain sight, waiting to tell us about the past and fire our imaginations about the future. McNally Jackson Williamsburg is hosting a reading group dedicated to the history of New York City. The material is eclectic, encompassing journalism, memoir, sociology, biography, and utopian science fiction. Whether you can trace your ancestry to Peter Suyvesant or arrived here three weeks ago, whether your great grandpa sold pickles on Hester Street or your mom paid for your dorm on Third Avenue, New York is your home, so come immerse yourself in its lore. Remember: history is not just the past, it's also the future. 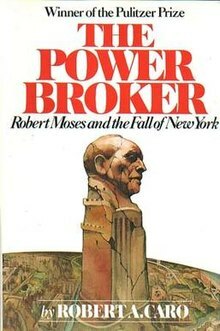 At the Wednesday, September 19th meeting we'll be discussing pages 200-500 of The Power Broker.